Celebrations also has unparalleled access to local and international florals through our Blooms by Celebrations team of florists. Our in-house Cayman event production company – with thousands of square feet of event rental equipment, decor, and accessories – can craft any custom piece should we not be able to offer it from our 200,000+ inventory. 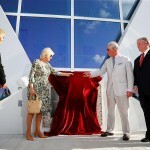 Celebrations is the first choice for Cayman Islands events when only the extraordinary will do. 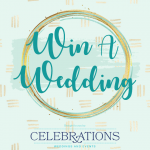 Celebrations Win A Wedding is Back! We would like to thank you and Celebrations for helping to make our Dream Wedding come true. The ceremony and reception decor were beautiful, it truly enhanced the atmosphere. Everyone was happy the day turned out wonderful despite the constant rain or as my mom calls it the Showers of Blessings. Everything turned out to be perfect and my Husband… I can say that now was really very happy with everything he saw since he played a very minimal role in the planning. It was lovely working with you and thank you for all of your hard work and patience working with us. Please extend a thank you and job well done to your team as well. We had the most fun you could possibly have on your wedding day. Being just the two of us with no guests we weren’t sure how special it would feel but your attention to detail created a wonderful romantic setting that we will cherish for the rest of our lives. You completely understood what we envisioned for our intimate beach Cayman wedding Thank you for going above and beyond to make our wedding day so special , a day that we will cherish forever. We smile when we look at our wedding photos – everything was gorgeous and we had such a fabulous time. Thank you for keeping calm and helping us pull together a Cayman wedding that topped all our expectations! Celebrations Weddings are the best! Thank you for planning such a beautiful Cayman Island wedding for my daughter. She lives in west coast, I east coast, and we both are busy working and far away from Cayman and you made everything happen! Our family are so lucky to have you as our wedding planner. All of our guests–80 of them, enjoyed the wedding very much and we thank you again! We just wanted to thank you for making our wedding day so special. Everything that you did from the flowers, to the DJ to helping us choose the perfect color scheme, made our day terrific! Our wedding was one month ago yesterday and our friends and family continue to call us and tell us that it was the best wedding that they have ever been to. Thank you so much again! We had some curve balls with the weather, but you helped us resolve them all! Thank you for keeping calm and helping us pull together a wedding that topped all our expectations! You were easy to get in touch with and you made us feel that we had the extra hands we needed to make our destination wedding work! We wish you the best in all your upcoming weddings, and hope that everyone has the same positive experience we did working with such a skilled Cayman event planner. You made our wedding day extraordinary! We know it couldn’t have been easy to step in half way through our wedding planning but we are so glad you did. You listened to us explain our style, helped us decide our decor, and worked *so hard* to give us the modern elegance for which we hoped. The result was stunning. All of our guests commented on how beautiful the decor was. The set-up on the beach was breathtaking. ALL the flowers were perfect - the bridal bouquet, the sprays on the columns, and the centerpieces on the table: BEAUTIFUL. Everything was perfect, even the weather! So thank you for doing such a perfect job! We are so grateful for all you did to help make our Cayman wedding celebration perfect! The entire setting, from the altar, lounge chairs and lounge tables to the incredible table place settings and gorgeous flower arrangements were absolutely breathtaking. Our expectations were more than exceeded. 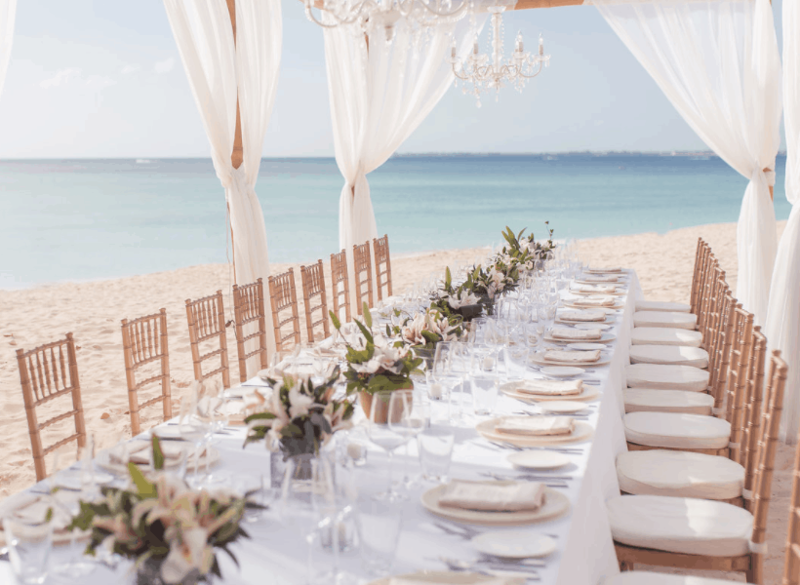 You and your team at Celebrations Weddings did an amazing job and we can't tell you enough how satisfied and happy we are that we selected Celebrations Cayman event planning services. We sure enjoyed working with you on our wedding and feel like it could not have turned out better. I know that our sense of how things worked out was 100% a result of your efforts and professionalism. We liked the Cayman Islands so much that we are planning on returning again this year! Thank you so much for helping to make our wedding such a perfect day in December. The flowers and canopy on the beach were exactly what we hoped for. We had the most fun you could possibly have on your wedding day. Being just the two of us with no guests we weren't sure how special it would feel but your attention to detail created a wonderful romantic setting that we will cherish for the rest of our lives. Our wedding day turned out way beyond our expectations. Just want to thank you for everything that you and your team did to make our Cayman Island wedding such an amazing event! We had an absolute blast and so did all of our guests! The wedding decor and flowers were sooooo gorgeous and the minister and DJ were great! We appreciate all of your patience and for keeping us well-organized from our first email last year up until the big day! All of your hard work really made the day completely unforgettable and we’re so grateful for all of your help! We cannot thank you enough for THE most WONDERFUL Cayman wedding we could have ever imagined. You and your team made our day unforgettable! I couldn’t have asked for a more beautiful memory. Thank you so very much for all that you did to make our wedding perfect. The setting was beautiful and the ceremony was marvelous! I have to say that you more than exceeded our expectations on every level. Your design for our event was abolutely exquisite & more beautiful than I could have imagined. The ceremony and preparation were seamless. Our stress was non-exisitant. We owe all of this to your diligent hard work. I appreciate every single thing that you did to make our wedding day memories something we will carry with us for a lifetime. We are so blessed to have met you! We had a perfect Cayman Island wedding day thanks to you!!! It was amazing, you are amazing!! I look forward to a friendship with you. Keep up the good work! A special thank you! Everything was set right where it needed to be and my center-pieces rocked. I loved it all. My flowers were so lovely, I had to put them in my freezer; not sure how long they will last in there but I will try to preserve it as long as possible. Once again thank you so much for bringing my dreams to reality! Thank you for ALL that you did to help us make it be such a special affair for our dear friends and family. We are proud to be your first really rainy wedding couple! It is clear that you treasure your role in helping couples plan for and celebrate marriage. What you do so naturally comes from your beautiful heart, and we feel blessed to have had the opportunity to experience your magical touch. Meeting you the day we arrived just put us at ease! The day of our wedding was absolutely PERFECT!! We were laying by the pool and relaxing knowing you would take care of everything. And you did!! I couldn't have asked for a more fantastic day. It was the best day of my life! In fact, I woke up on Monday saying I want to do yesterday all over again!! Thank you from the bottom of our hearts! Celebrations is a wonderful Cayman wedding planner! Thanks for making our day so special! We just want to thank you for creating our beautiful wedding! We could not have asked for a more perfect day! Every guest has commented on how beautiful the ceremony and dinner were – we owe that all to your hard work. It was exactly what we had in mind when we decided to have a Cayman destination wedding. You and everyone at Celebrations exceeded all of our expectations. Everyone was helpful, professional, and always accessible. It truly was a dream experience! We can’t begin to thank you enough! We can’t thank you enough for everything you did to make our wedding ceremony and reception as fantastic, easy and beautiful as it was! Our flowers were amazing and the decor was just as I had hoped it would be! You were so fun to work with and your patience was incredible. Planning from 3,000 miles away is never easy, but you made it happen! Thank you for everything that you did to make our wedding a success! We absolutely LOVED the flowers and decor! The centerpieces were exquisite…all of our guests are still talking about how beautiful and vibrant the flowers in centerpieces were. We were so impressed by how smoothly the whole event went. Thank you for everything! We had so much fun - it was a perfect day. Thank you for all your advice, patience, hard work, and vision. And, of course, thank you so much for getting us the most beautiful cake. Everything looked great and ran smoothly – and that allowed us to focus on each other and the amazing day instead of the details. Our day would not have been possible without you and Celebrations, and we are so grateful we found you. Our wedding day was beautiful. You were professional and courteous throughout the process. We greatly appreciated you helping to give us a great experience on our special day! I received so many compliments on how great our Cayman Island wedding was. You were so easy to work with, always responded quickly and had great ideas. Doing a perfect destination wedding can sometimes be tricky since you cannot be there to pick things out but I knew everything would be perfect because it was in your hands. Our wedding was amazing! We don’t have the words to express our thank you for all your work to create a fairy tale Cayman wedding on Seven Mile Beach! Everything was perfect from blue water, blue skies, white sand, great location, great friends and family, a great band, great food, great photography, gorgeous flowers and cake, and the reception area…WOW!… dancing under the stars! Thank you! Our friends and family are still talking about this event! Thank you so much for all of your beautiful work for our wedding. I felt like I had a good picture in my mind of what the decor was going to look like, but I was completely blown away. It was so much more beautiful than I even imagined. We had such a lovely evening and we received so many compliments. Thank you so much, you made our day just perfect! I couldn't have had such a perfect wedding without her help. Everything was just amazing and more beautiful than I ever imagined it would be!! All of our guests are still telling us that it was the best wedding they had ever attended! Thank you so much for helping make our day so wonderful and special. It was truly the best day ever and the best wedding ever. All of our guests were blown away and we are still hearing people talk about what a wonderful experience it was and how they want to move down there to stay! The day exceeded our expectations and we couldn't have imagined it being any better than it was. Thank you so much for helping to put together our wonderful island wedding. Both my wife and I agree that you were extremely courteous, friendly, professional, and creative during our entire planning process. The end result you provided made us very happy. We had never been to the island before so having a wedding planner was a must. We were told Celebrations was the best wedding production company on Cayman Island and they did not disappoint. When all was said and done our wedding could not have been better and we would recommend you to anyone thinking of planning a wedding in Grand Cayman! Thank you for making our day so perfect! It was truly everything we could have asked for and more. Thanks for making our special day one that we will always cherish. You have made another bride and groom extremely happy and for that we will always remember you! Your vast experience with weddings really helped me plan properly so there were no unexpected surprises. Also knowing the best and most reliable vendors on the island was so helpful for us. Thank you also for being so organized. The proposal and the timeline that you put together for us were key – and really helped us feel comfortable that everything was under control. Celebrations were absolutely wonderful helping us plan and execute our wedding. We planned everything from abroad but Mary Ann and her team made our visions come true. There are not enough thank you’s we can give to Celebrations for making our wedding day go off without a hitch. The venue was beautiful and it was truly the best day of our lives. Thank you so much for everything you and your team at Celebrations did for us to make our special day great! Thank you for taking the time over the past year to provide suggestions, feedback and of course patience in the planning of our wedding. Thanks! I want to tell you what a fabulous job you did! You pulled off a beautiful event! Thank you for all your attention to detail. It couldn't have been more lovely! PS – The centerpieces were stunning! There are no words in the dictionary that would be able to summarize the gratitute we have for you and all you have done. It’s because of you and your amazing Cayman wedding planning, that we had our dream wedding. 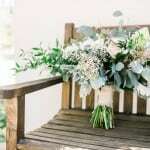 You, without a doubt, are the best wedding planner in the universe and we adore you. Thank you so much for making our wedding day perfect. Planning an international destination wedding was a leap of faith for us, but you were instrumental in making our wedding weekend one of the happiest in our lives. Our joyful celebration would not have been possible without you. We feel so lucky that we found you and are so grateful for all the time and effort that you put into making our wedding so perfect. Thank you for helping to make our day so special. You took away the stress of the day and made me feel really relaxed and comfortable. My vision was executed very well. Everyone continues to tell us it was the best wedding they have ever seen! I can’t find the right words to express how thankful we are for everything you have done for us! It’s because of you and your amazing wedding planning, that we had the Cayman wedding of our dreams. I just wanted to thank you and your team for giving us an AMAZING wedding day! Everything was perfect and everyone from Celebrations weddings did an incredible job. We have been getting compliment after compliment on absolutely everything. It was a perfect day and I wouldn't have changed a thing. We are off on our honeymoon this morning but I wanted to THANK YOU from the bottom of my heart for making our wedding day so special! The flowers were MAGNIFICENT and everything I dreamed of – perfect, beautiful, romantic. Everyone commented on how romantic the setting was. Love was all around. Just wanted to say a very big thank you for organizing the Cayman Island wedding. We had a lovely day and everything was perfect. It is a day we will always cherish. It was everything I imagined it would be and more. You and Celebrations did a “wonderfab” job! I just wanted to say thank you for an amazing Cayman Island wedding. You did an outstanding job and we are eternally grateful. The day was perfect and everything was absolutely gorgeous! You did an amazing job with everything! The decor was exactly what I envisioned and the guests are still talking about it. I can honestly say, I wouldn't have changed a thing. I booked Celebrations only 4 months prior to my wedding date and I could not have done it without them. I posted on my Pinterest wedding board all the time and we would collaborate on ideas. It was so much fun! It was better than I expected!! Our guest still talk about how gorgeous our reception was! I loved everything about my wedding. It was like a fairy tale. We are so incredibly thankful for everything you did for us in the year we spent planning and especially the weekend of the wedding. Organizing multiple events for 145 out of towners (New Yorkers!) is not a small task! Every wedding detail was perfect from the lounge in the cocktail hour to the beautiful flowers and table decorations. You also surprised us with gorgeous chandeliers and of course the sparklers for the guests! You were absolutely outstanding! You made the Cayman wedding planning process so simple and stress free. You really understood our vision and style for our wedding. Every little detail (including the details we didn't think of) was absolutely perfect. The flowers and the décor were beautiful and exactly as planned. The overall execution went off without a hitch. Thank you again – million times over – for planning our wedding!! Not only was the wedding unforgettable for us, but also it was an unforgettable weekend for our guests. We could not have asked for a better start to our married life. 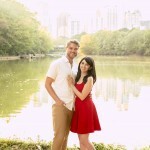 As the photographer at a wedding, working with a wedding planner is our first recommendation! In wedding planning one name stands above any other and that is Mary Ann Mehigan at Celebrations! Not only is she incredibly organized, emotional (yep she cries at weddings too) and fun she is also beautiful inside and out! I am honored to work alongside her. She makes ALL her vendors look good because everything goes without a hitch! Hands down ….. THE BEST! Thank you for creating an organized and informative event itinerary in both English and Spanish. You went above and beyond and we are so grateful. Our Cayman wedding was a fairy tale. I would like to express my sincerest appreciation for your dedication, patience and excellent services that you and your team provided. Our special day would not have been realized without you all and we are extremely grateful that you were a part of it. I knew that my Cayman Island Wedding was going to be beautiful, but you guys were able to create the most beautiful wedding I could ever imagine! The attention to all details, the set up, the flowers, the arch, the decor inside… I was speechless!!! I had tears in my eyes… I was so happy with how the place looked!! I wanted to thank you and your crew for making our special day so perfect. It was exactly how I had imagined it. Everything was organized impeccably. All of our guests confirmed it by stating it was the best wedding they've ever been to. Your services made our wedding day unforgettable. We can’t thank you enough for making our special day so unbelievably memorable! Your meticulous attention to detail, creative yet realistic ideas, professionalism and calming personality helped make our dream a reality. Thank you again to you and everybody at Celebrations for our perfect wedding day! Your team worked spectacularly together to make the day so special. Our guests have been telling us over and over how wonderful everything was at the wedding. Thank you so much for helping to make this important event so special. We just wanted to say a massive Thank You to you for making our wedding day so special. The décor looked amazing. Your help with timings and coordination were brilliant and you made the whole process virtually stress free for us both and our guests. Thank you for doing such an amazing job for us on NYE.... I cannot tell you how happy we were with your amazing work. love ya!!!!!! Thank you so much! The bouquet was beautiful! It is going on Week 3 and, even though there are only 3 mums and 1 lily left, it is still pretty. Thank you again! Thank you and the Celebrations team for making the baby shower a huge hit. All of the details were on point and I really appreciated the extra table center pieces! The guest were blown away. We were so pleased with the decor at the event, and it all lived up to our expectations (and more!). Everything was completed in a timely manner, and it looked absolutely fabulous. We had a full house, and everyone loved the theme. I can't thank Celebrations enough for helping us to bring our theme to life, and for working with our limited resources. We look forward to working with you in the future - we were so happy with the outcomes. Cassie, and her team was awesome. The quality of work and service was exactly what we wanted and they delivered it. It was truly our dream wedding at Pedro St. James Cayman Islands. Cassie you and Alice was the best.